A few months ago, I shared a post about a gorgeous Golden Retriever puppy called Northern…. weeeeell, meet her beautiful sister TEMPUS. 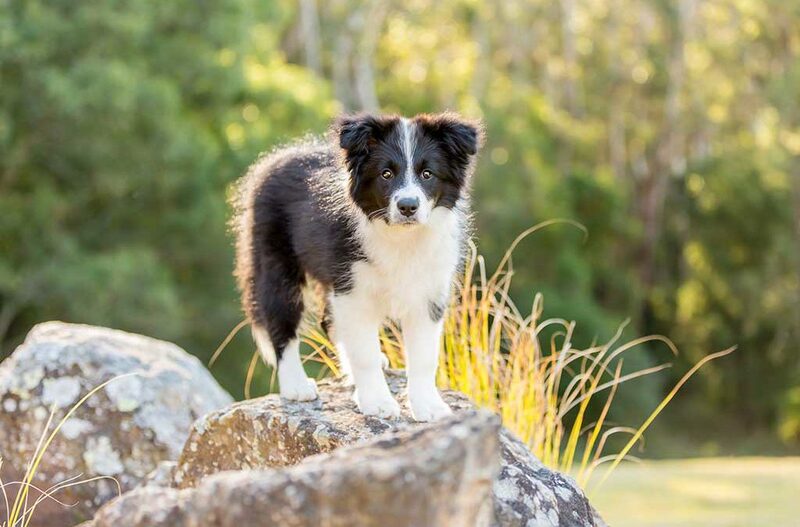 She is (was) a 16 week old Border Collie puppy at the time of our session, and we headed to the picturesque Kangaroo Valley for our shoot. A HUGE thank you goes out to The Heavens Mountain Escape in Kangaroo Valley, they kindly supplied the perfect backdrop for Tempus’ first photo session. Now, you may think, another puppy in such a short timeframe….?? What the heck? That’s just asking for trouble!! Well, let me set you straight, Kellie, from Totally Pawsable Dog Training, is an amazing dog trainer. She already has TWO older dogs, Southern, a 10-year-old Border Collie, and Bella, a 10-year-old Golden Retriever… you can see a breed theme happening, hey? Kellie has done an amazing job in creating beautiful, balanced and happy dogs. They all get time together, but also time apart so they don’t become dependent on each other. Training, walking, sleeping, playing, Kellie is all over it. I’m in awe of what she has achieved with her four dogs. Now, back to the newest addition, TEMPUS… she is just THE sweetest puppy! Check out a selection of images from our photo session at The Heavens… I make no apologies for the number of images contained – there were soooooo many favourites!! Get in touch and let’s chat.